Professional picture hanging and mirror installation for residential and commercial clients. Other services include art advisory services, picture framing, exhibition installation, fabrication of bespoke furniture, pedestals and crates. 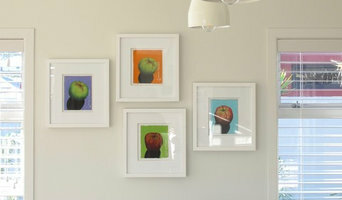 ARC Fine Art Services is based in Tauranga, New Zealand. Servicing the Bay of Plenty and surrounding areas. At Blackbird Projects we can build a new home or renovate your home, build an extension, paint indoors & outdoors, deck and design and build landscaping. 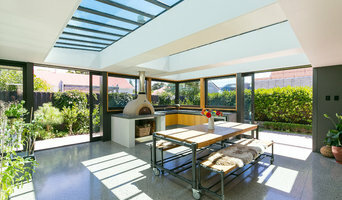 Haynes Glass is a full service glass, glazing and glass related products company. We began in 1993 as a small family business based in Howick. Over the past 22 years, through innovation, hard work and dedication, Haynes Glass has grown into a glazing company capable of undertaking both small and large scale projects. We are proud to efficiently service the whole of Auckland and can supply our products to the whole of New Zealand. We install ground screw foundations for anything from House Piles, to smaller projects like decking, boardwalks and fencing. Our screw piles are installed much faster than the old method of digging a ahole and concreting in a timber post. 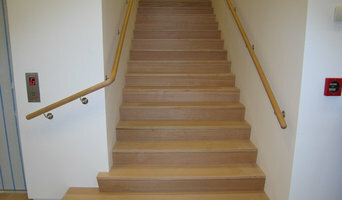 The installation creates zero mess and our screws will last longer than timber in the ground! The Trade Team is a core of competent trade’s people who cover all aspects of building work. We believe most clients don’t want to compromise on the finished product and they want reliability and a company that offers convenience and flexibility that suits their needs enabling them to get the best value from products & services. We provide an itemised and fixed written quote which is adjusted only if extra work is required. We are available to discuss projects or make on site inspections. We have more than 30years experience in the construction industry. Talk to us about renovating or extending and we’ll show you how to help to make your house your home. 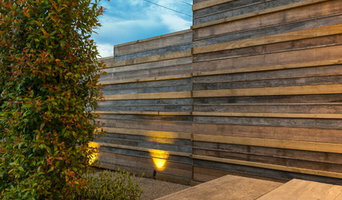 Fodera designs and manufacturers architectural wall panels, architectural screens, moulded form and provides bespoke designs for award winning projects. Our creations are used for interior, exterior, commercial and residential settings. All our designs are beautifully resolved both aesthetically and technically. Every project is custom made. We don’t have pre-made sheets in stock, in fact we don’t have any stock as no two clients or projects are the same. This allows for greater design creativity, customisation and flexibility, every job is “bespoke”. Our range of finishes is virtually limitless. You can choose from one of our many existing designs, or work together with us to create a unique custom design, tailored to your needs. The Auckland housing crisis and building boom is leaving many homeowners without skilled tradesmen to do renovations, repairs and maintenance. Rob Graham is A Gentleman Who Can. An independent and experienced handyman ready to take on those outstanding maintenance and home repair tasks around your property. Call Rob today on 021 0484441. Our company specialises in shower installations, repairs and all technical aspects of shower design and has been operating for over 15 years in the Auckland region. We install and are registered with all the major brands of showers available on the market. 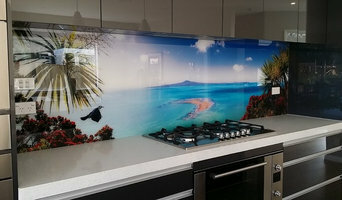 We offer solutions for your installation needs, whether it be standard acrylic shower enclosures of any shape or size through to high spec tiled, framed, frameless or custom made glass. Our qualified team of installers think outside the box to make your shower work for you. We work throughout the Auckland region (and wider) installing showers for our residential, industrial and commercial customers GSI offers a 5 year "Leak Free" Guarantee on our shower installations. Terms of the “Leak Free” Guarantee are dependent on the manufacturing warranty the shower company provides with the shower. Growers of walnuts, hazels, chestnuts and free range nut fed pigs. Our sustainably run farm is 16ha (just under 50acres) with 2000 fruit and nut trees. Livestock include Berkshire pigs, Highland cattle, Pilgrim geese and Pekin ducks. As ASN we are specialist installers of height safety systems for Salus Safety NZ, including but not limited to safety nets,fall restraint systems, ladders, walkways, guardrails and more. Also we do commercial birdproofing. Furthermore we have in-house divisions supplying and installing insulaltion and rondo ceiling battens. When the job is more complex (e.g. negotiating electricals, sewerage, local council matters, etc) or if the job will take more than a few hours, you may need to call in an expert in that field. Here are some related professionals and vendors to complement the work of glass, mirrors & shower doors: .